Be collected from your city hotel and enjoy a coach transfer with commentary into the Adelaide Hills to the village of Mount Barker. 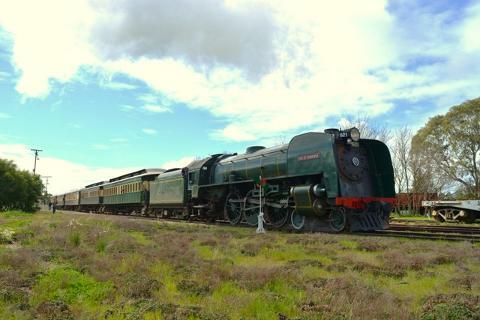 Step aboard the SteamRanger Southern Encounter (AKA the South Coast Wine Train) and travel via heritage train past the eucalyptus trees and through the rolling hills of the Mount Lofty Ranges to arrive at Strathalbyn. 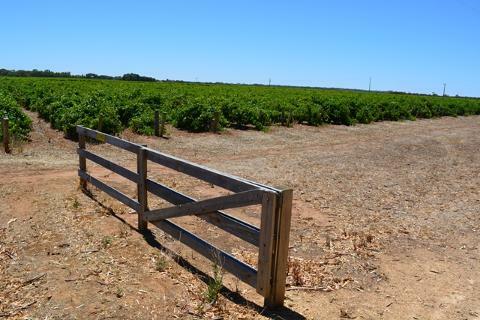 Be greeted by your wine host on the platform and let them take you by limousine for a tour of the heritage township of Strathalbyn on the way to the vineyards of Langhorne Creek. Arrive in the region regarded as the hidden gem of Australia's wine regions to enjoy tasting at Bremerton, Bleasdale, Lake Breeze and Rusticana wineries. Your wine host will introduce you to the friendly cellar door staff who greet you along the way as you are guided through tasting at each winery. Indulge in a gourmet 3 course lunch and enjoy wine and beer tasting at The Winehouse restaurant and cellar door, home to a large number of the award winning boutique wineries of Langhorne Creek. 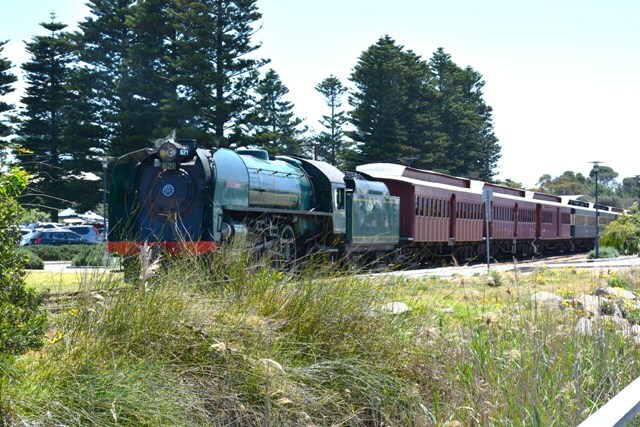 After your day of premium wine touring comes to an end, board the South Coast Wine Train at Finniss or Goolwa as the train makes the return journey back into the Adelaide Hills and the town of Mount Barker. Enjoy a local produce platter and a glass of wine from the region aboard the train. On arrival back at Mount Barker, be collect by the transfer coach to return you to your Adelaide hotel by approximately 7.00 pm. Hotel pickup and drop off on board tour coach, rail travel from Mount Barker, travel in a limousine from Strathalbyn through the vineyards, heritage train travel on the Steamranger Heritage Railway (2.5 hrs*), wine and beer tastings at 5 local cellar doors a 3 course lunch, commentary from a local wine host and a South Coast regional platter on the return train journey. ​Guests share the vehicle with other guests on the same tour. For a private tour, please see options below. *Winter schedule - on these dates guests will be collected at Strathalbyn and returned via coach to Adelaide arriving back at 6.15 pm. - see website. ​Even though the Steamranger train is advertised to be hauled by a steam engine, we do not guarentee that a steam engine will always be available due to operational constraints or similar. When a steam engine is not available the train will be a diesel engine or diesel railcar. This tour can be booked as a private tour. Tour pickups from selected Adelaide hotels. Please inspect the list of hotels during the booking process. ​There is no child price for this product. Prices are per person and inclusive of GST.